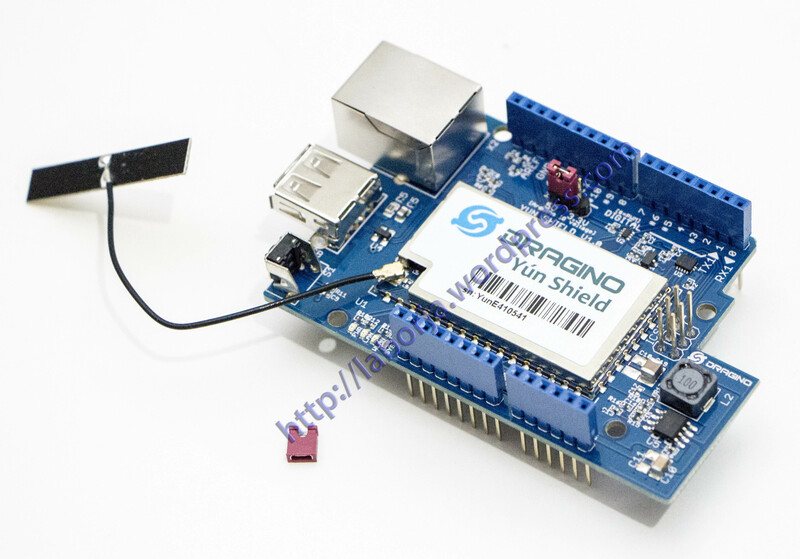 Yun Shield is one of the most powerful shields for Arduino Board. Yun Shield is designed to solve the Internet connectivity and storage issue for Arduino Board. Yun Shield runs Open Source OpenWrt system (Same system as runs in Arduino Yun) and it is fully compatible with Arduino IDE v1.5.4 or later. Yun Shield is the ideally choice for Arduino Projects which require various internet connections and more storage. Basically, Yun Shield + Leonardo equally to the official Arduino Yun, but Yun Shield is more flexible because it can work with other Arduino board such as Uno, Duemilanove, Mega etc. And Yun Shield uses external wifi antenna which provides stability and possibility for various environments. Compatible with Arduino IDE 1.5.4 or later, user can program, debug or upload sketch to Arduino board via Arduino IDE. Support internet connection via LAN port, WiFi or 3G dongle. Support USB flash to provide storage for Arduino projects. Failsafe design provides robustly system. Compatible with 3.3v or 5v I/O Arduino.